Resin sphere form under some conditions in transformer oil over time. They tend to be yellow to brown in color. They are spherical because they form in the oil itself. 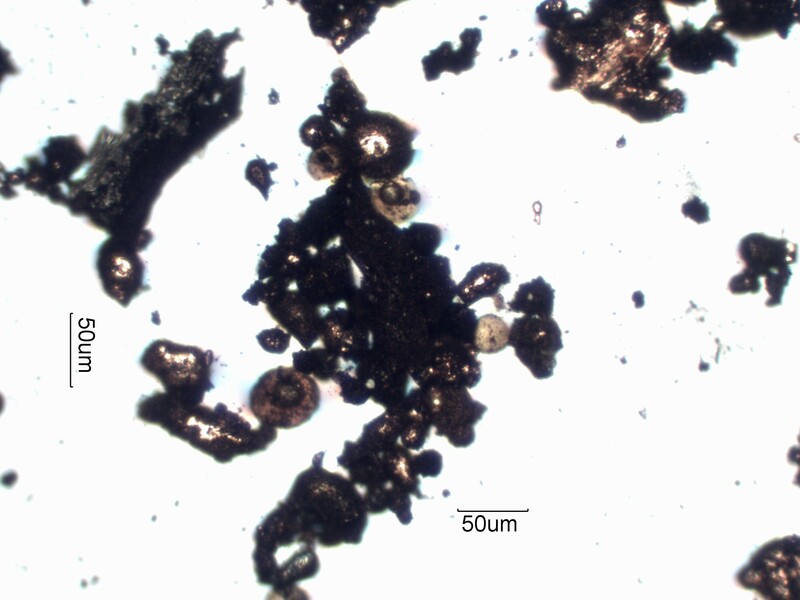 There are a number of resin spheres in this image, along with copper arcing spheres, copper wear particles, and charred paper.